Baylor Law's Top Gun National Mock Trial Competition is an innovative, invitation-only mock trial tournament where the single best advocates from the sixteen top trial advocacy schools across the nation (based on results from the other major national competitions) go head-to-head for the honor of being designated as “Top Gun.” The competition also boasts the use of advanced trial presentation software and a winner-take-all prize of $10,000. Top Gun was created in 2010 as a competition that was radically innovative and uniquely distinct. Unlike other mock trial competitions, participants do not receive the case file until they arrive in Waco, a mere 24 hours before the first round of trials begin. Preparation includes reviewing depositions, records, and photographs, and making a site visit to view the scene where the events occurred. 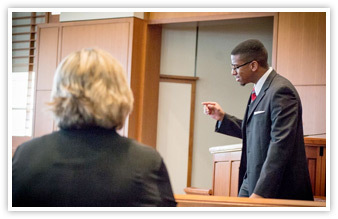 Shortly before each round, competitors are assigned the witnesses who may be used at their discretion during the round. The jurors for each round are distinguished trial lawyers and judges. 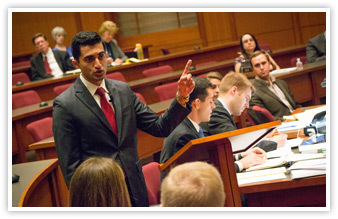 Top Gun is singular among advocacy competitions – challenging even the most seasoned and skillful mock trial competitors. 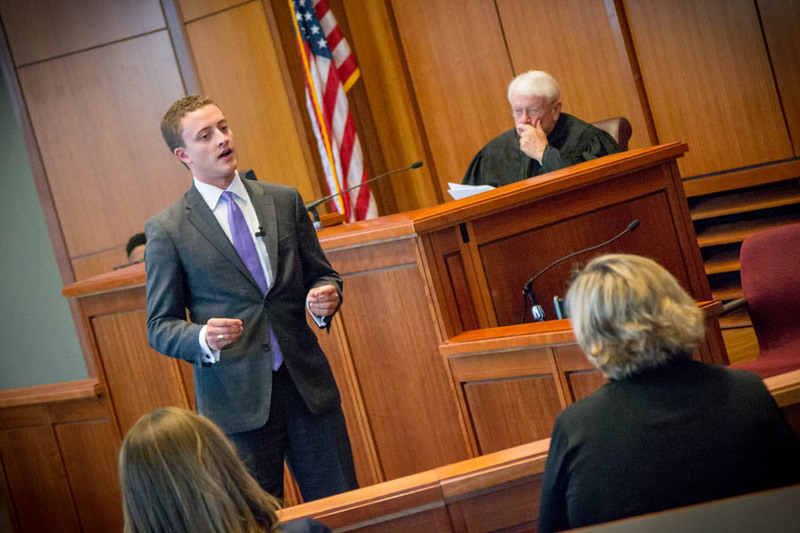 Baylor Law's Top Gun National Mock Trial Competition has developed a national reputation for its realism and attention to detail. 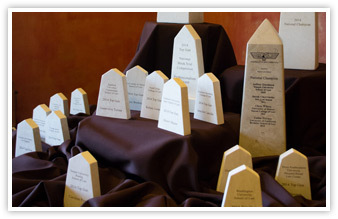 Each year the case packet contains hundreds of pages of exhibits, including multiple depositions, records, photographs, and videos. 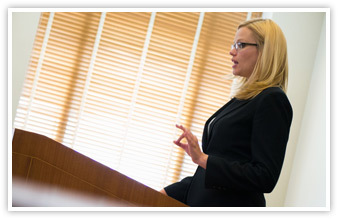 Advocates competing in Top Gun's semi-final and final rounds have the opportunity to examine top-level witnesses who are real-life experts in their fields. 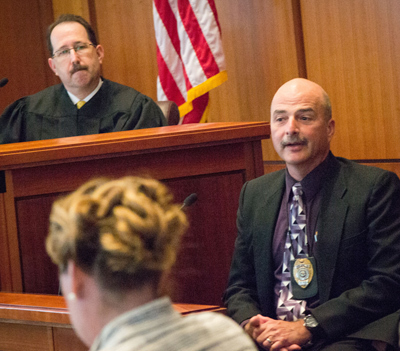 Actual forensic investigators, nationally-renowned experts in eyewitness issues, university professors, and more have taken the stand to testify during Top Gun, adding a sense of realism rarely found in mock trial competitions. The quality of Top Gun's judges is another a hallmark of the competition's excellence. 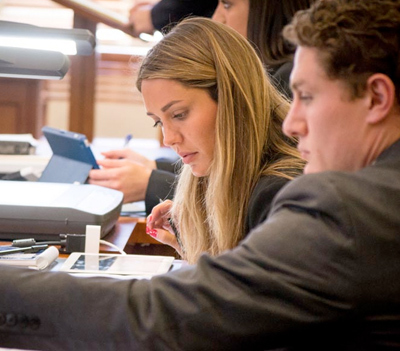 With over eighty judges (made up of both state and federal judges as well as accomplished trial attorneys) and 36 trials unfolding over the course of five days, the real-life trial experience that these judges bring to the competition creates an unparalleled degree of realism.